If you’re searching for the perfect coffee, chances are you’ve examined many different factors. You’ve tested out different beans and roasts. You know your macchiato from your Americano. Perhaps you’ve even splashed out on new equipment. But have you ever considered your brew ratio? Different brewing ratios for espresso beverages – in other words, different recipes – can give widely differing results. So if you’ve been using the same ratio for a while, now’s the time to broaden your horizons. We want to share with you our experience of different ratios and their results. We hope it gives you the confidence to experiment and find that perfect espresso! What is an espresso brewing ratio? Why do brewing ratios matter? Is 1:2 the golden ratio? First things first: what do we mean by espresso brewing ratio? It’s simply the ratio of coffee grounds to the amount of coffee extracted from them. So if you have 18 grams of dry coffee grounds and your final espresso weighs 36 grams, your ratio is 1:2. In other words, for every gram of coffee grounds, you’ll get 2 grams of espresso. This YouTube video gives some more examples of calculating brew ratios. The two elements expressed in the ratio are coffee grounds and extracted coffee. The latter is also known as the “yield”. Don’t confuse it with coffee grounds and water (as even the Wikipedia definition does). Both elements are measured in terms of their mass, rather than their volume. That’s because it’s easier to be accurate this way. Imagine trying to measure volume precisely when the coffee has been brewed and there’s foam on top (1)! Some people prefer to use percentages rather than ratios. Using this approach, the dose of coffee is expressed as a percentage of the yield. Taking our earlier example, 18 grams of coffee grounds is half the mass of the 36 grams of coffee produced from it. So the ratio is 50% (2). Essentially, you can think of the brewing ratio as the recipe for your espresso. And as with any recipe, you can change it. 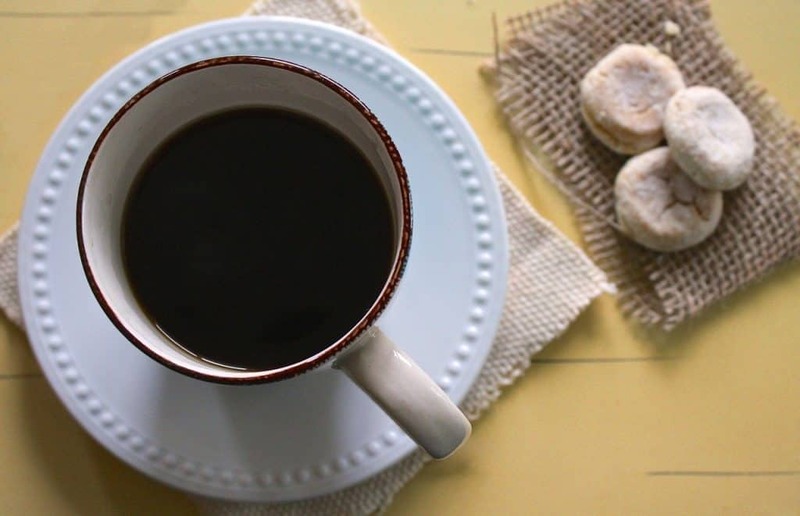 You might already be thinking that this sounds more like math than coffee! Bear with us, because brewing ratios have a huge effect on the taste of your final drink. First, varying the ratio will give you a stronger or weaker coffee. Use those 18 grams of grounds for a 45-gram espresso – a 1:2.5 ratio – and, assuming the brew times are the same, the result will be a weaker drink than if only 36 grams of espresso had been extracted. But that’s far from the end of the story. The ratio will also have a big impact on the flavor of the finished beverage. The higher the ratio, the more body your coffee will have. On the downside, it may taste sour. Conversely, a lower ratio will extract more flavor from the coffee beans. The risk, in this case, is that your espresso tastes sharp or astringent. Different brew ratios correspond broadly to particular styles of espresso. A ratio of between 1:1 and 1.2 is known as a ristretto. Here, the mass of the extracted coffee is closest to that of the coffee grounds used. Ristrettos are strong and treacly. They tend to work best with dark roasted beans or those with chocolate or caramel flavors (3). A ratio of between 1:2 and 1:3 is known as a normale, or just espresso. The ratio used most often is 1:2. Finally, a ratio of between 1.3 and 1.4 is known as a lungo. Here, the additional water dissolves elements from the coffee bean that other extraction methods would leave behind. As a result, it’s less strong but more bitter than an espresso. Lighter roasted coffees with floral or fruity profiles suit larger ratios. That’s because the extra water allows more of their flavors to reach the cup (4). The best way to get a feel for what these different ratios mean is to try them for yourself. Just brew three espressos at ratios of 1:1, 1:2 and 1:3 – using the same beans of course – and see which you prefer. To get a true comparison, try to keep the brew times the same in all three cases. To do that you’ll need to adjust the grind setting on your espresso maker. 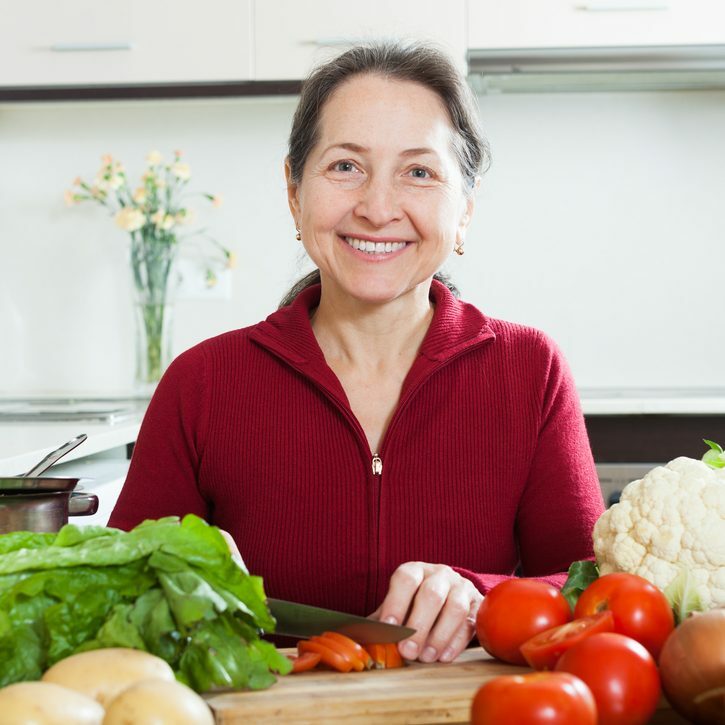 It’s well worth a small investment in an accurate weighing scales to help you here. Don’t forget, you’ll be measuring both the coffee grounds and your extracted espresso. Remember too, to put the empty cup or glass on the scales before setting them to zero! You really need something that’s able to weigh to an accuracy of 0.1 grams. You should be aiming for a brew time of between 25 and 30 seconds. If you achieve your ratio faster than that, the water is passing through the coffee grounds too quickly. That means you need to grind the beans more finely. If, on the other hand, you find that it’s taking ages to get the right volume of espresso, a coarser grind is required. Take your time to savor the different flavors and take notes about what you think. Don’t be afraid to experiment – the only rule here is to follow your taste buds! If you find that a ratio of 1.2 is too sour for your tastes but 1.3 is too sharp, try 1:2.5. Or 1.2.2. Whatever works for you. You can also make delicate adjustments to your espresso by altering the temperature at which it is brewed. Your starting point should be a temperature of 200 degrees Fahrenheit. Only change this if you’re confident that your espresso machine is able to keep the temperature consistent. If that’s the case, try small adjustments to align with the roast level of your beans and brew ratio. As a general rule, higher ratios and lighter roasted beans will give better results with high brew temperatures. That’s because the hotter water extracts a broader range of components and a more complex flavor from the beans. In contrast, darker roast and lower ratios will work better with water at a slightly lower temperature. With different brewing ratios producing such different flavors, it’s perhaps not surprising that the favorites vary from place to place. 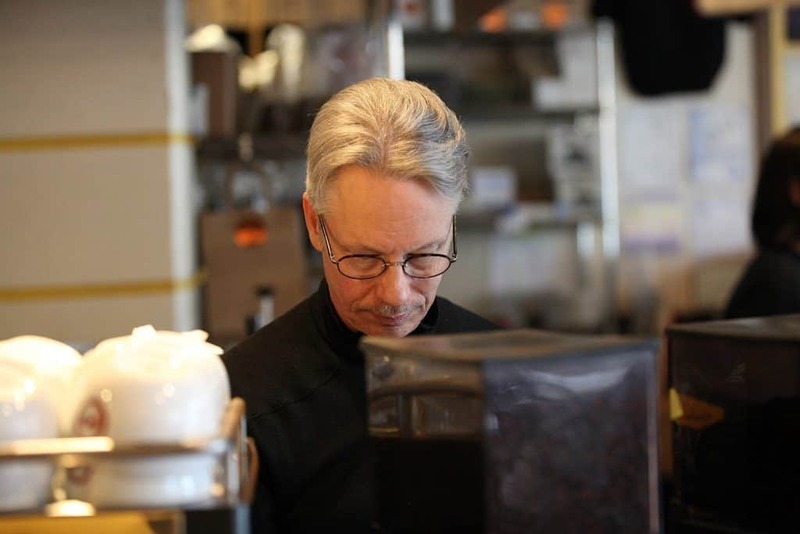 David Schomer, the founder of Espresso Vivace, is credited by many as being responsible for Seattle’s coffee-drinking boom. He visited Italy in 1989 and observed that Italians favored the ristretto extraction technique (5). On his return to the USA, Schomer experimented with different ratios. He soon recognized that the strong flavor of the ristretto made it suited to coffees with larger amounts of milk. In a latte or cappuccino, the robust coffee flavor balanced the creaminess of the milk. The pioneer of low brewing ratios in the Northwest USA, Vivace Espresso still uses a ristretto espresso today. Anyone drinking a coffee there will be tasting a brewing ratio of somewhere between 1:1 and 1:1.5. 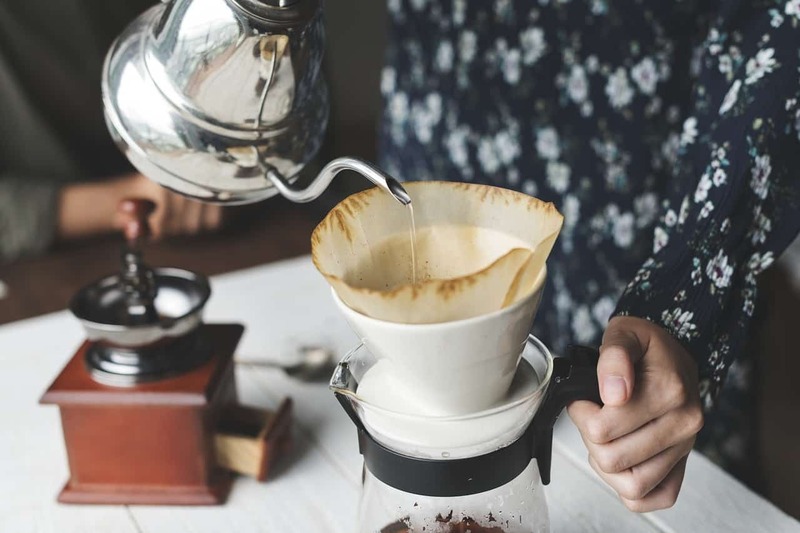 With the increasing popularity of single-origin coffees and lighter roasts, the average brew ratio across the USA, parts of Europe and Australasia has got higher. In fact, the global average ratio is now close to 1:2. Interestingly, a 2015 survey of about 1,600 readers of the blog jimseven.com found a difference in the average ratios of home and commercially brewed espressos. 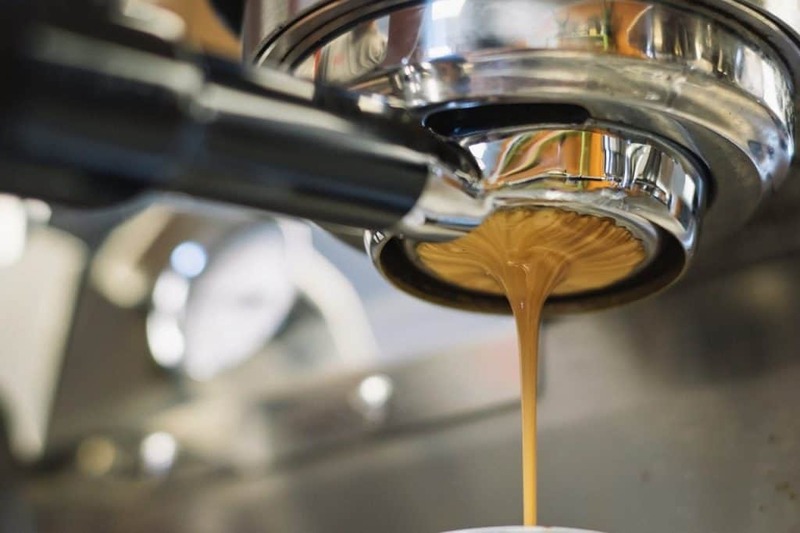 14.5% of respondents who brewed their own coffee used a ristretto shot (classified in the survey as 1:1.5 or lower) but only 11.8% of baristas. Italy, home of the espre​​sso machine, takes a quite different approach. Here, the same brewing ratio has been used for decades. 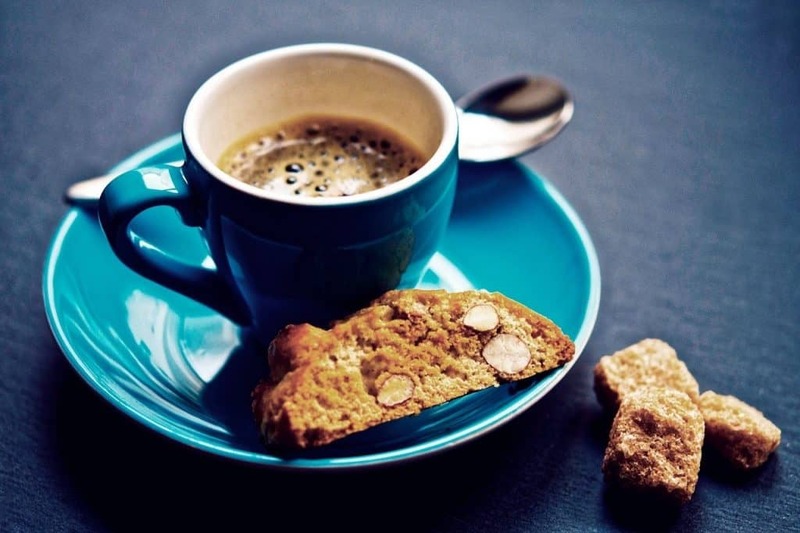 A typical Italian espresso will be a lungo, brewed with a 1:3 ratio. Italian baristas use about 7 grams of coffee grounds to produce a 21-gram espresso. As a side note, it seems the Italians’ decades of practice in brewing lungos has served them well! Those newer to trying to brew at higher ratios have found it a tricky business to get right. The Compound Coffee Company documented their experience here. Nevertheless, an increasing number of expert baristas are trying their hand at lungo with a ratio of 1:4 or higher. These create an espresso with more clarity and less body. The flavor and mouthfeel at these ratios become increasingly similar to that of a traditional drip coffee. At the extreme end of brew ratios, Matt Perger of the St Ali Family in Australia has been promoting espressos with a ratio of 1:18! He describes the resulting drink as a “coffee shot” and claims it delivers a sweetness and aroma that can’t be matched by other methods. Despite the experimental approach of experts like Matt Perger, there’s some concern that the use of different ratios is declining. The survey of espresso brewing ratios at jimseven.com found a lot of similarity in the responses. In some cities, there was hardly any difference at all. London had the least diverse brewing ratios of any city, with an average of 1:1.8. New York was similar. In contrast, Los Angeles had the greatest variation. Although the average espresso ratio still worked out at about the 1:2 mark, 30% of espressos here were ristrettos. But while there were some differences, the overwhelming impression from the survey was one of conformity. People across the world were brewing their espressos at, or close to, a ratio of 1:2. Of course, it’s possible that’s because 1:2 really is a “golden ratio” for espresso, bringing out the best flavors. Others, though, argue that it’s more likely to be the result of changing coffee fashions. Or perhaps the rapid spread of information through the internet is promoting uniformity. As we’ve seen, different coffee beans and roast levels will respond differently to high and low espresso brewing ratios. Even the quality of equipment can have an effect, with better kit yielding higher extractions at lower brewing ratios. For these reasons, it’s very unlikely that a one-size-fits-all approach is going to get the best results. Some experts go further and claim that most baristas who are using a 1:2 ratio are routinely under-extracting their espresso. In other words, if they used a higher ratio, they would get a better flavor. What does that mean for anyone looking to find their perfect espresso? Just that whilst a ratio of 1:2 may be a perfectly good place to start, it’s far from being the only option. Take the time to try others, and mix up your coffees types and your brew ratios. You may find you prefer something quite different. A trawl through the literature on espresso brewing ratios demonstrates that a lot of people are obsessed with this topic. You can find endlessly complex charts and graphs with acronyms that seem designed to confuse rather than enlighten. If you enjoy the math and theory of coffee, dive right in and enjoy the topic. But if you find it a struggle, don’t despair! Many people go through life without even knowing what a brew ratio is. And you can get endless variations on your coffee by trying different beans, brew methods and roast levels. There’s nothing wrong with sticking to a 1:2 brew ratio if that’s giving you an espresso you enjoy. If it isn’t, and if charts and graphs aren’t your things, don’t get bogged down in the theory. Instead, get experimenting, and make notes so you can repeat the results. And if you have a local coffee shop that serves an espresso you love, why not take a shortcut and ask them about their brew ratio? Most baristas will love talking to you about their craft. If you have any questions, please post a comment. Good luck with your quest! It’s a great article, very clear and rich. Congrats, I’m more free to try differents ratios after read it!